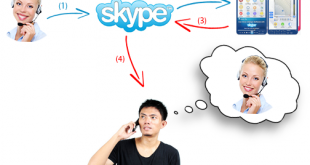 Are you a frequent Skype user? 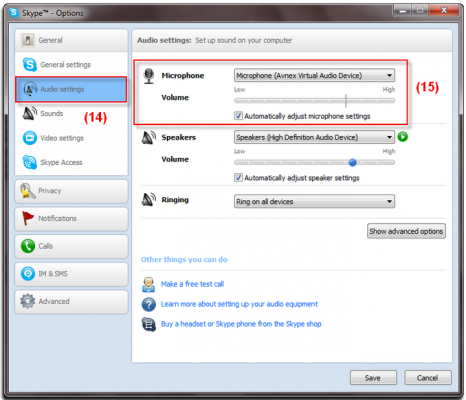 Let us show you a super fun tip to make your Skype calls more interesting than usual by making strange voice(s) to surprise your chat friends. 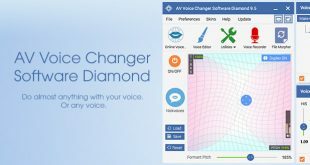 For this tutorial, we will need the help of AV Voice Changer Software Diamond – a professional voice mastering software program for PC. 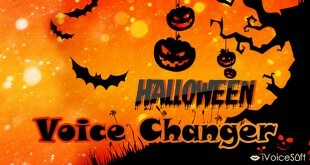 For more information about the program’s voice changing ability, check out how you can change your voice like famous celebrities’, the man of voice impression – Morgan Freeman, or scary voices for Halloween. 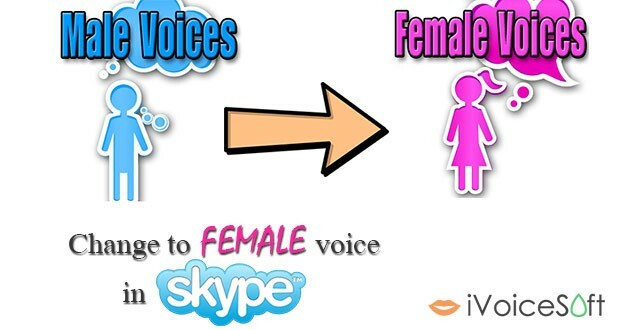 This tutorial will specifically guide you to speak like a lady while chatting online in Skype. Let’s go! 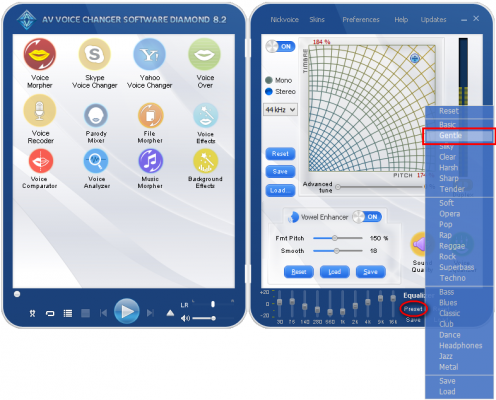 AV Voice Changer Software Diamond – Download Voice Changer program here! 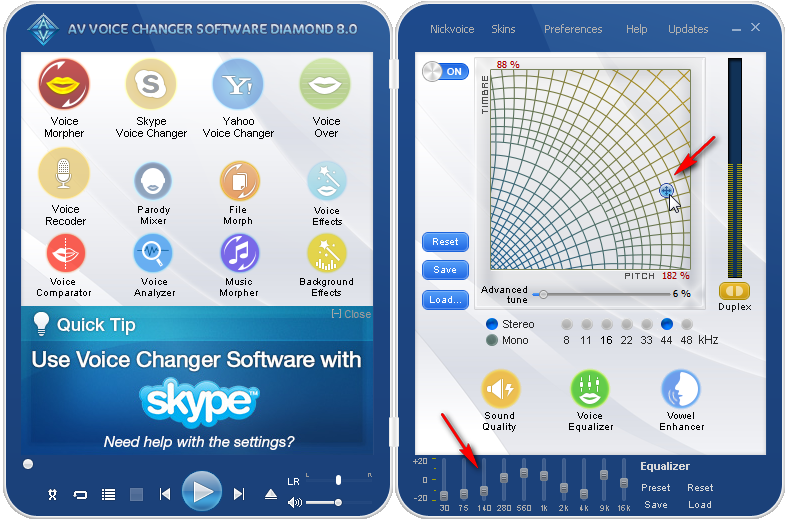 The full featured version of Voice Changer Software Diamond can be purchased at $99.95. But don’t worry! 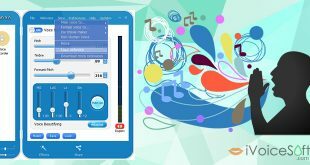 You can get this at much cheaper price by using Voice Changer special coupon code or Download trial here. 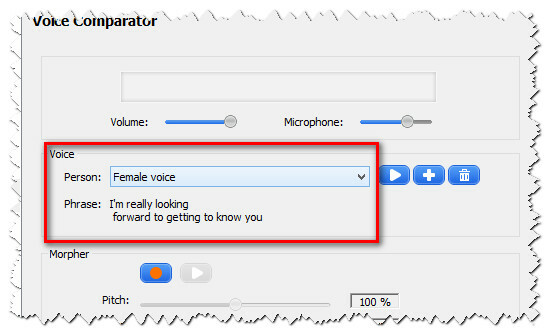 Now, the sample voice and all information you just filled in have been applied to Voice Comparator. 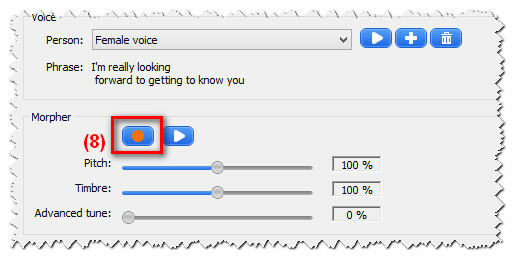 Click on Record button (8) to start recording your voice. 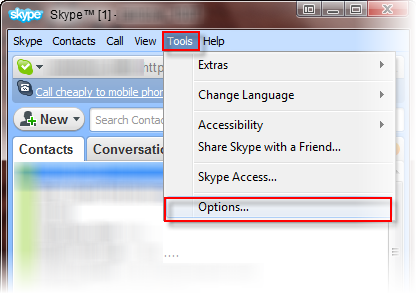 If you receive an error message saying that “Cannot make comparison. 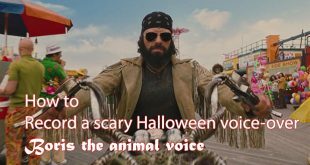 Please, try to record your voice again,” it might because you spoke too low or too fast that VCS Comparator couldn’t detect the voice. 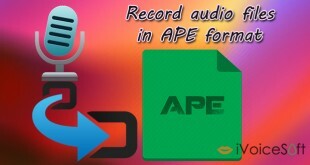 Close the message and record your voice again. 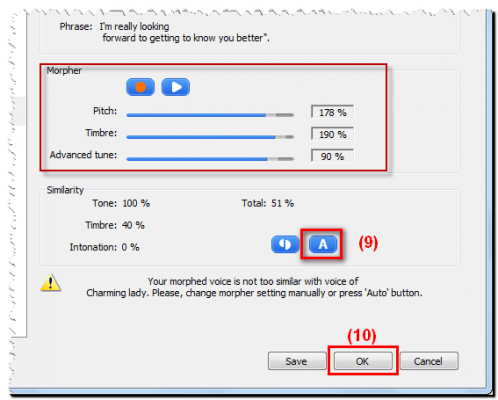 VCS Voice Comparator will compare and automatically suggest you the best morphing settings for Pitch, Timbre and Advance Tune that make you voice sound most similar to the female sample voice. 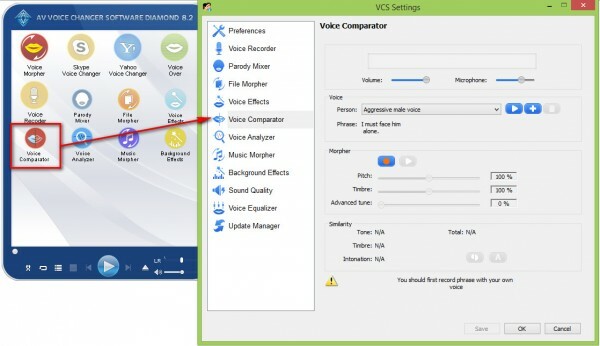 Click OK (10) to accept these settings (the suggested settings have now been applied to VCSD). Return to the main panel of VCSD. 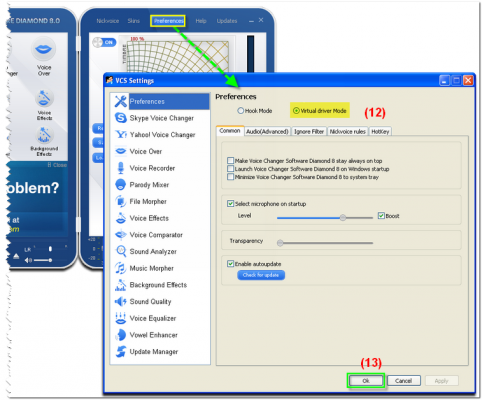 In Equalizer session at the bottom of right panel, click Preset >> Gentle. In most case Gentle works pretty well, but you still can try other presets out until you’re satisfied with the output. 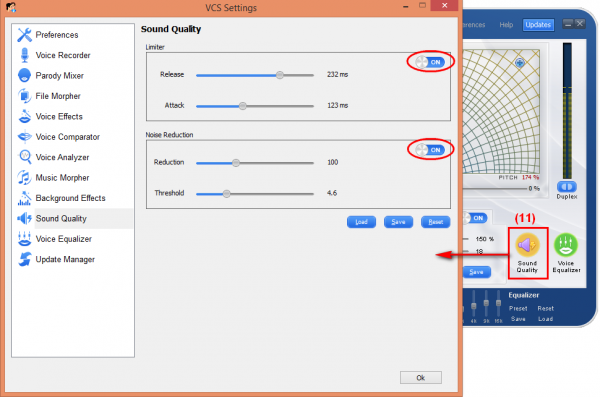 It’s inevitable that surrounding noises might have been recorded in your voice file, so using Sound Quality from VCSD will help you eliminate them effectively. 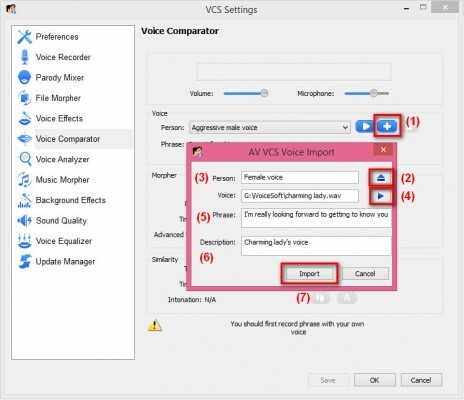 Turn on Limiter and Noise Reduction sessions and adjust these sliders until you’re satisfied with the output file >> OK.
Go back to Skype and pick your first “victim” to start the funny call using this new female voice. 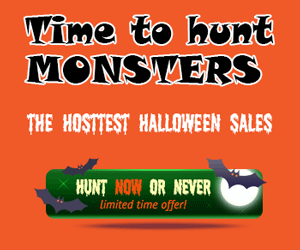 All morphing effects you’ve made will be applied in real-time chat conversations.